Strategic Risk Solutions is a leading captive management firm with locations throughout North America. 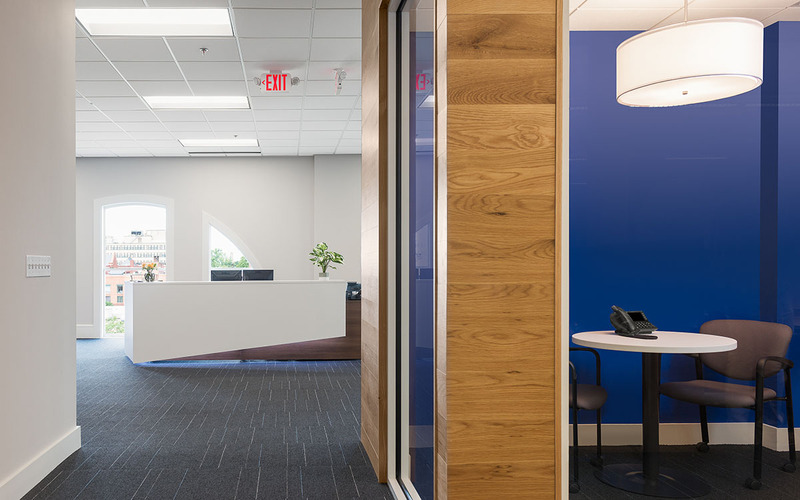 This interior fitup provided new space for the Burlington office on the top floor of the historic Howard Opera House, built in 1879. 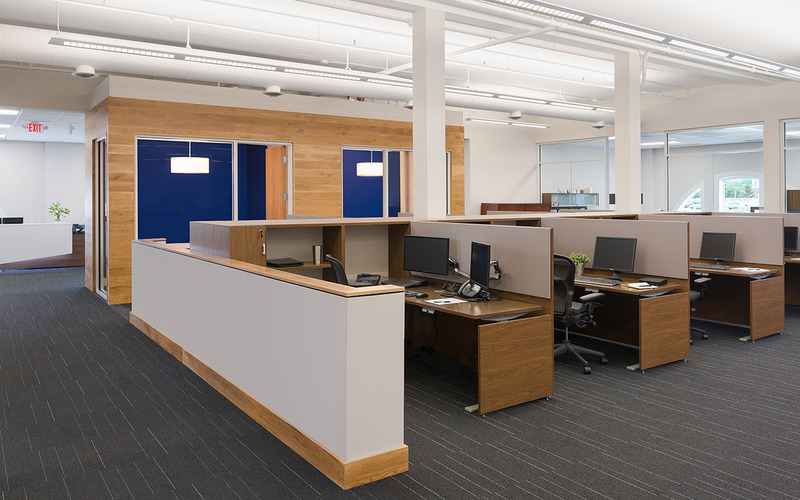 The renovated workspace supports the contemporary needs of SRS and accommodates a 10-year growth plan while maintaining the historic integrity of the building. 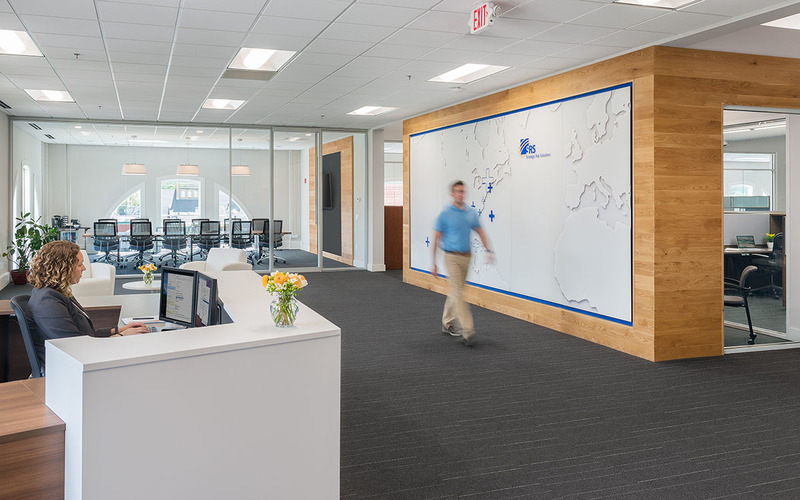 A spacious lobby with a graphic art wall welcomes guests into the space and reinforces the SRS brand. 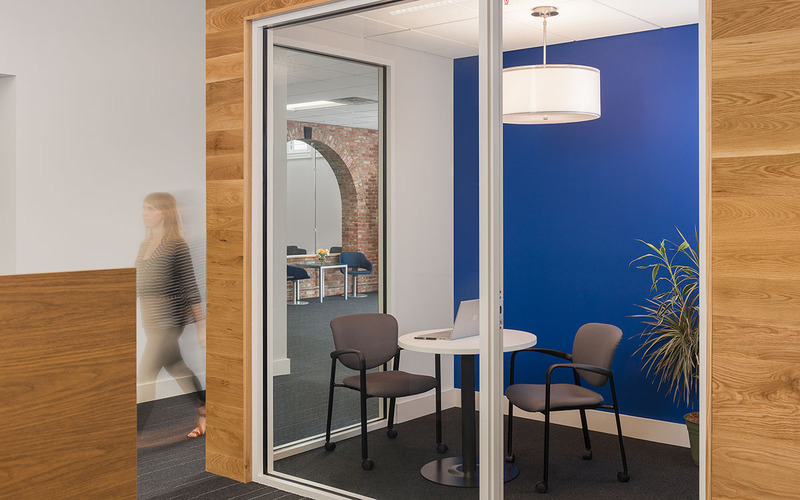 An open office layout with glass partitions allows for unobstructed views of the historic arched windows facing the Church Street Marketplace. 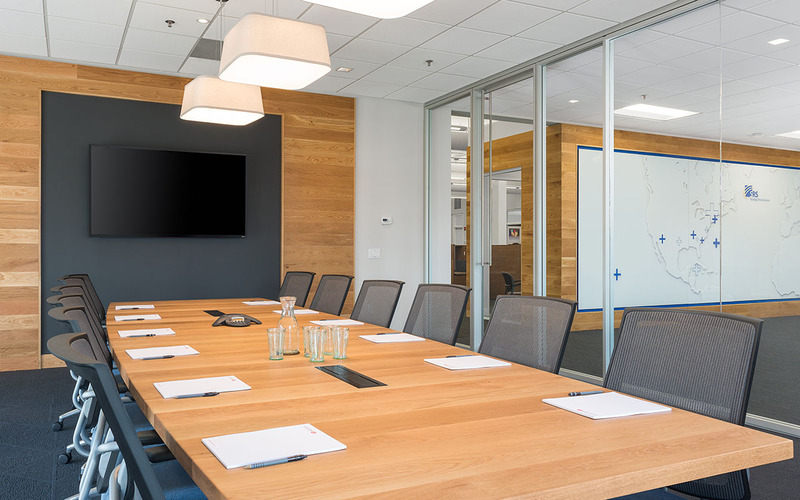 New focus rooms provide space for individual work and small group meetings, and an open kitchen is centrally located to serve staff and guests.